An attic that is not properly insulated could be letting up to 35% (source SEAI) of the heat in your home escape which means it is costing you money. If your attic is not insulated or your current insulations is not performing sufficiently spray foam insulation can bring your home in line with current building regulations. 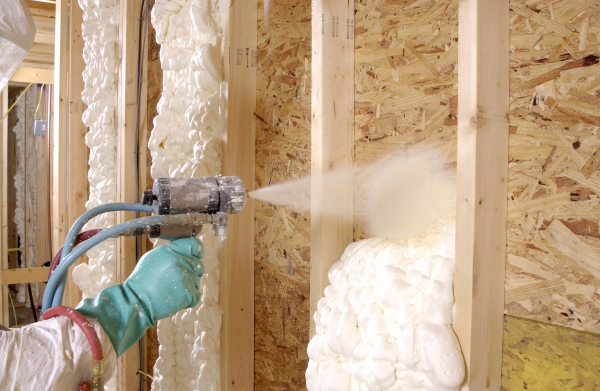 FOAM-LOK spray foam insulation manufactured by Lapollo Industries is an open cell spray foam insulation, half pound density, an ideal solution for insulating your attic. Spray foam insulation seals the home to stop warm air from escaping and preventing cold air from entering. Heat loss in the leading cause of high energy bills. Open cell foam insulation is a performance upgrade over conventional insulation that leads to energy efficiency, improved occupier comfort, a cleaner indoor environment and greater noise reduction for your home or business. FOAM-LOK provides a sealed thermal and airtight building envelope preventing heat loss and creating a comfortable healthier indoor environment. Foam Insulation expands to fill all voids creating a sealed thermal and airtight envelope. The application of spray foam creates a highly effective seal against air leakage. In addition to improving durability, indoor air quality and comfort, Spray Foam Insulation when paired with other responsible materials can reduce heating costs by 45% compared to traditional insulations, reducing the burning of fossil fuels and lowering CO2 emissions. FOAM-LOK can be spray applied to trussed and cut timber roof structures to provide a breathable and airtight alternative to traditional insulations.